Jacqueline Novogratz is the founder and CEO of a non-profit global hedge fund which fights to tackle global poverty issues around the world. 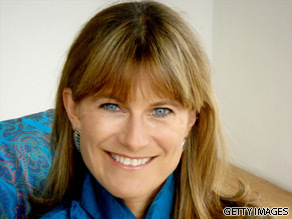 Jacqueline Novogratz is your Connector of the Day. Called the Acumen Fund, Novogratz created the global venture in 2001 with help from the Rockefeller Foundation, Cisco Systems and three individual donors. Today, the Acumen Fund has contributors ranging from Bill and Melinda Gates to Google. Headquartered in New York, Acumen has a goal of raising nearly $100 million and helping the lives of more than 50 million people around the world. So far, the fund has raised more than $30 million and helped to support 26 enterprises in countries like Pakistan, South Africa and Kenya. The Acumen Fund has five different portfolios which include water, health, housing, energy and agriculture. Before founding Acumen, Novogratz founded the Philanthropy Workshop and The Next Generation Leadership programs at the Rockefeller Foundation. She also started a micro-finance institution in Rwanda to help local businesses and entrepreneurs. We interviewed Novogratz back in May and we're bringing her back on tonight's show because she was one of your most popular videos of 2010 so far. Her interview was the third most popular, but be sure to tune in on Thursday and Friday to see the number two and number one most popular videos of the year so far.